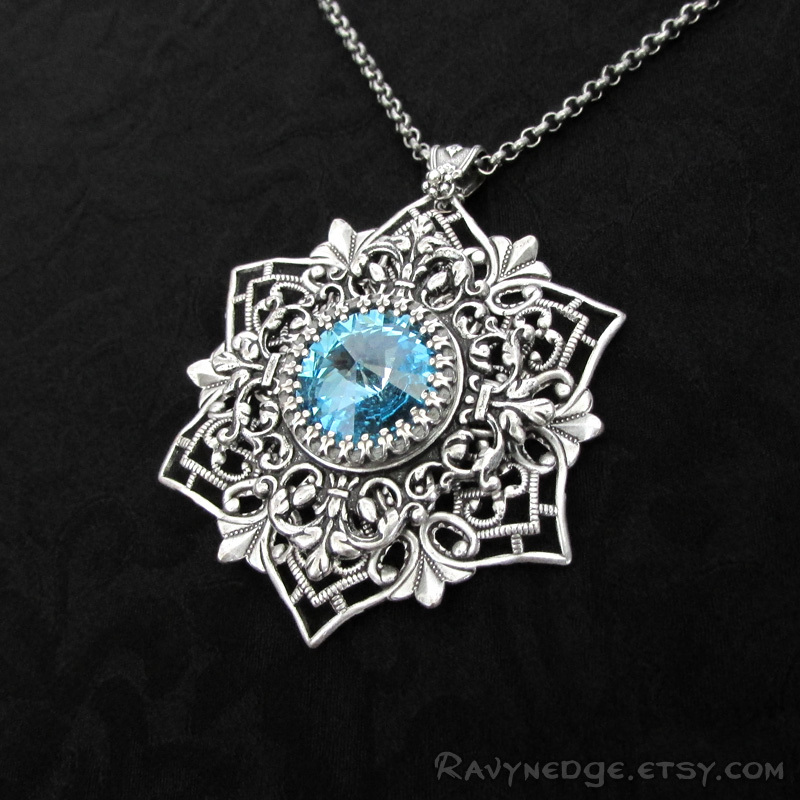 Winterborn II Necklace - Swarovski and Silver Snowflake Filigree Pendant by RavynEdge. "Let the storm rage on, the cold never bothered me anyway!" 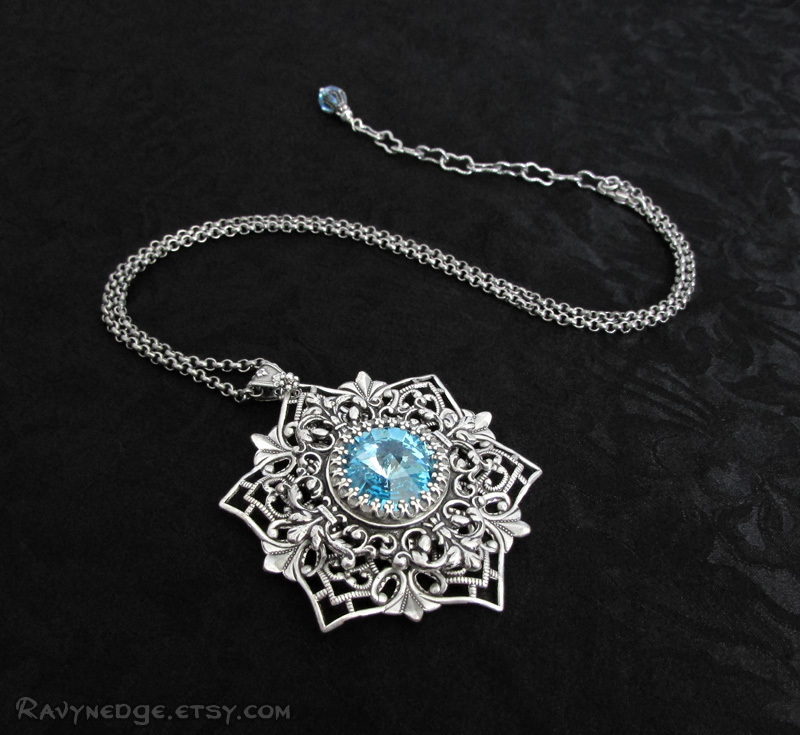 Embrace the winter with this exquisite necklace! 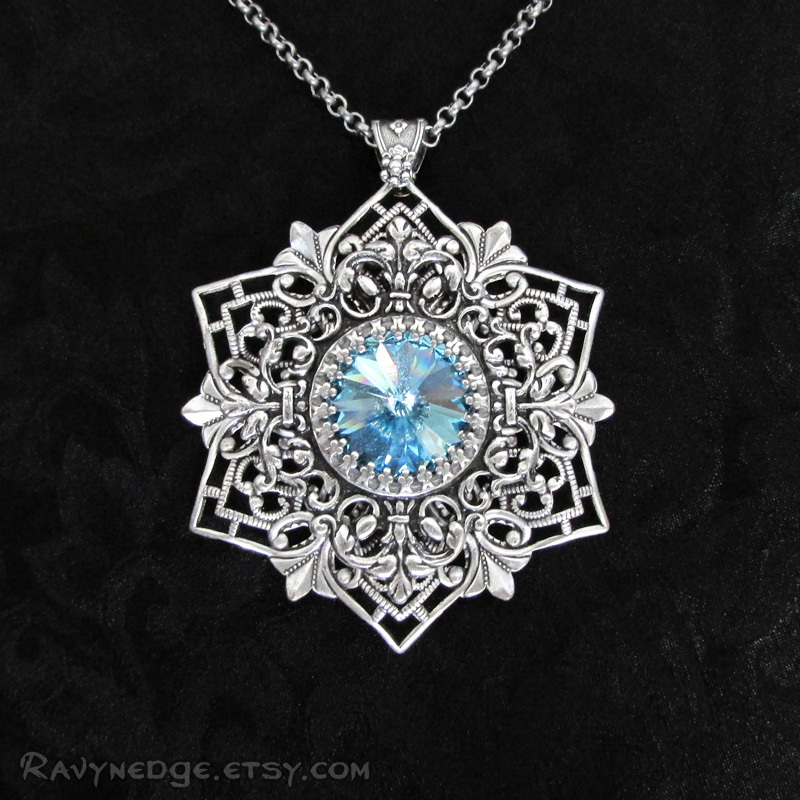 "Winterborn" features a brilliant Swarovski crystal that shines from the heart of a snowflake created with layers of ornate filigree. 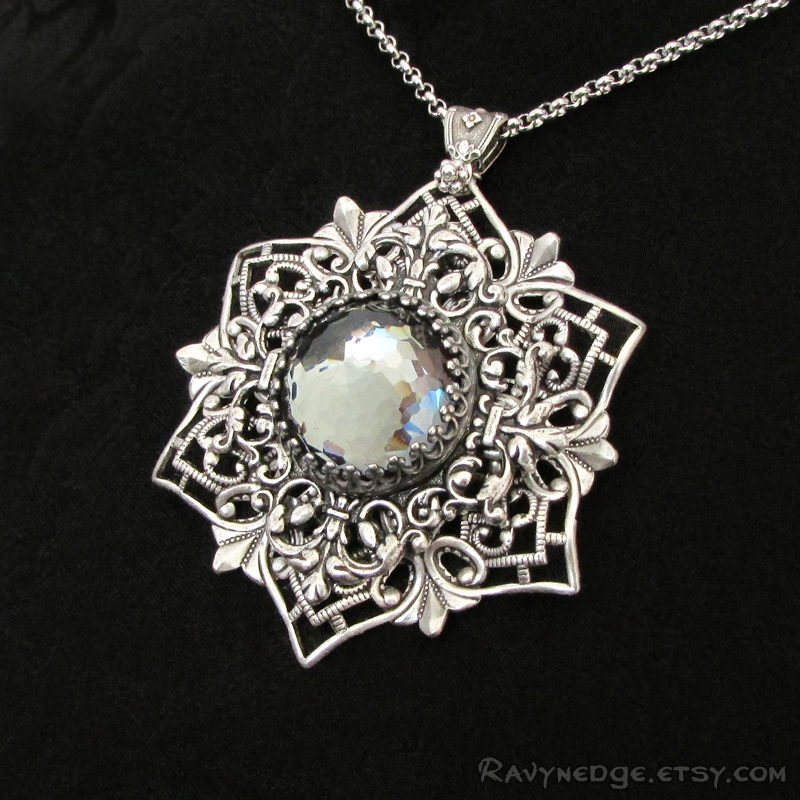 The pendant measures 1.9 inches (4.8cm). The chain adjusts from 16 to 18 inches (40.6 to 45.7cm) and closes with a lobster clasp. 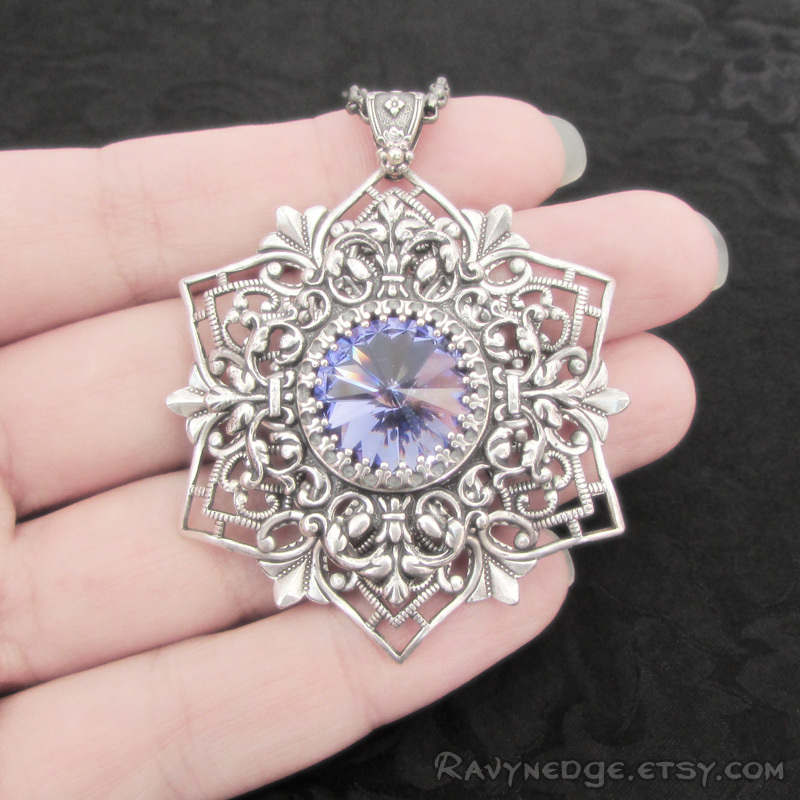 Shown in aquamarine, tanzanite, and a rare vintage seal crystal. Other colors may be available. This pendant is made of silver plated brass with an oxidized finish to give that wonderfully romantic and gothic look with a vintage appeal.